Press (BROWSE) to select iPod menu mode. Press to select the desired play mode. Press (PLAY) to enter the displayed selection. Turn to display the first selection list. 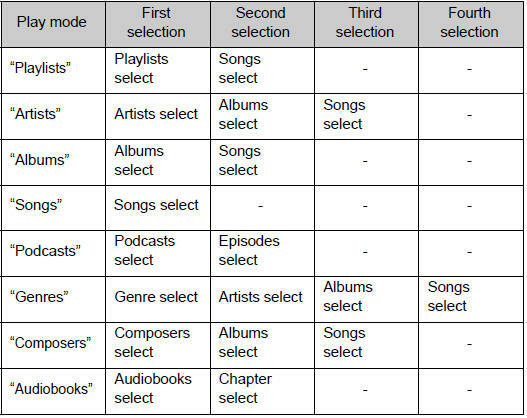 Pressing the knob changes to the second selection list. Repeat the same procedure to select the desired item. To return to the previous selection list, press ( ).